In a quest to find comfortable seating for '03 Dodge Ram trucks, we really didn't need to look any further than our local MOPAR folks. 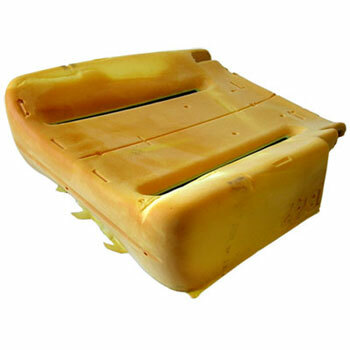 We were surprised to find that they offer a passenger side replacement foam seat cushion that is a cost-effective seat rebuild solution. Installation is simple. Remove the seat (four 13mm bolts) and unclip the J-clips that hold the factory cloth seat cover over the seat cushion. NOTE: For trucks equipped with cloth or leather seats. Will not work in trucks with heavy-duty vinyl seats.